Wells Fargo just suffered another black eye. A top federal banking regulator severely downgraded Wells Fargo's community lending rating on Tuesday, citing the "egregious nature" of "discriminatory and illegal" credit practices at the big bank. The Office of the Comptroller of the Currency issued Wells Fargo a rare "needs to improve" rating, marking the first time the lender has had anything but an "outstanding" label since Community Reinvestment Act results were first publicly disclosed in 1994. Regulators cited an "extensive and pervasive pattern" of violations at Wells Fargo, including the recent fake account scandal as well as other misconduct like steering minority homebuyers into more expensive mortgages than white borrowers. "Violations across multiple lines of business within the bank (resulted) in significant harm to large numbers of consumers," the OCC wrote in the report. The "needs to improve" rating is based on a review of practices between 2009 and 2012, and many of them have been resolved. But the rating will affect Wells Fargo adversely going forward because it will result in sanctions and the potential loss of business. Wells Fargo warned that some states, counties and municipalities can only work with lenders that have a "satisfactory" rating or higher. Wells Fargo (WFC) said the downgrade will cause new restrictions and limitations on its ability to conduct acquisitions and could slow approval for opening bank branches. Wells Fargo said it may also lose expedited processing of applications to relocate branches or sell debt. Wells Fargo CEO Tim Sloan said in a statement that the bank is "disappointed" with the rating given its "strong track record" of working with low and moderate income communities. "We are committed to addressing the OCC's concerns because restoring trust in Wells Fargo and building a better bank for our customers and communities is a top priority," Sloan said. Regulators cited a long list of settlements between Wells Fargo and the government over the past 15 years, including the recent scandal where the bank's employees opened up to 2 million fake accounts. The OCC noted that Wells Fargo management "instituted policies, procedures and performance standards" that contributed to the scandal. Wells Fargo's wildly-unrealistic sales goals pushed employees to open unauthorized accounts and the bank has since apologized and replaced the targets. The OCC said it also has a reason to believe that between 2004 and 2008 Wells Fargo's mortgage business engaged in a pattern of "discrimination on the basis of race or color." It cited Wells Fargo's 2012 settlement with the government to provide $125 million to African American and Hispanic borrowers who were steered into subprime mortgage loans and who paid higher fees and rates than white borrowers. 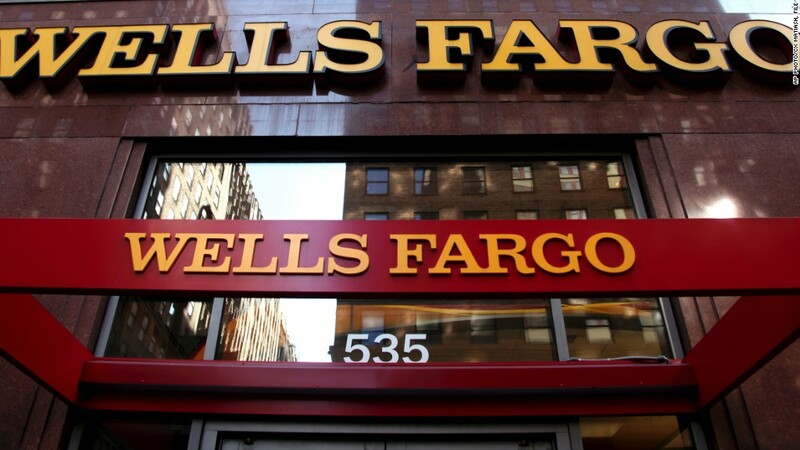 Regulators also pointed to allegations that Wells Fargo discriminated against pregnant women; a September settlement for illegally repossessing 413 motor vehicles owned by service members; and evidence of deceptive student loan practices and other violations.